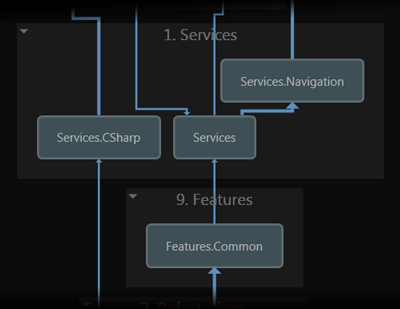 This page outlines features and improvements introduced in ReSharper 8. Its highlights included integration into Visual Studio 2013, a new mechanism for batch-applying code fixes, a project dependency viewer, multifile templates and TypeScript support. 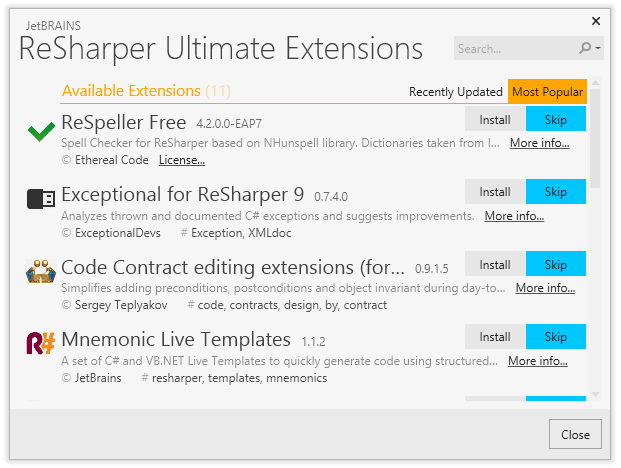 Note that a newer version of ReSharper is already available. ReSharper 8.1 brings multiple improvements to the viewer, including polished UI, better performance and visualization of indirect dependencies. 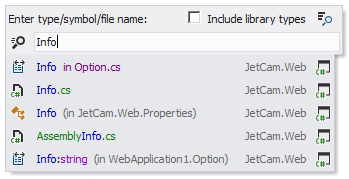 Version 8.2 also brings Jasmine 2.0 support to ReSharper unit test runner. 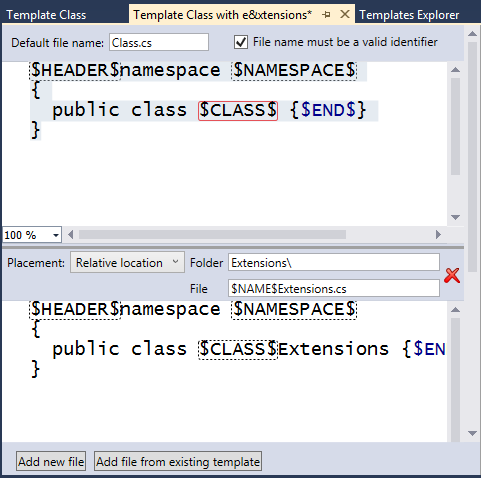 ReSharper's file templates can now be expanded to generate more than one file. For instance, this is handy for generating pairs of a main logic class and a class for extensions, or sets of partial files. Those include a new action called Go to Everything to allow searching for a file, type or method name from the same input box; support for line numbers in navigation actions; a new tool window called Assembly Explorer for browsing through assemblies; and two more contextual navigation actions: Navigate to Generic Substitutions and Navigate to Assembly Explorer. 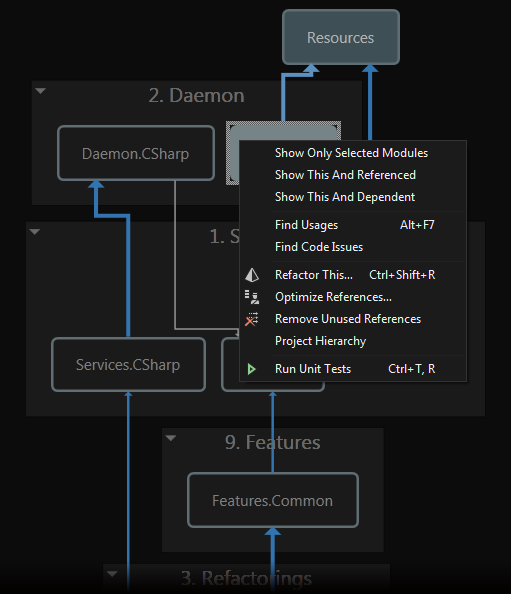 ReSharper 8 goes beyond Visual Studio: we now provide a free standalone tool with hundreds of ReSharper inspections and additionally a duplicate code finder that you can integrate with your CI server or version control system. In addition, there are Inline Parameter and Pull Parameter, the latter being an intelligent scenario of Change Signature. Last but not least, we're also introducing new XAML-specific refactorings! 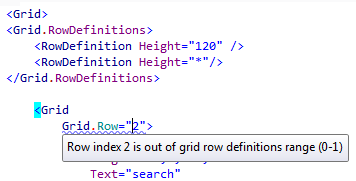 ReSharper 8 also introduces new refactorings for XAML: Extract Style, Extract/Move Resource and Inline Resource. 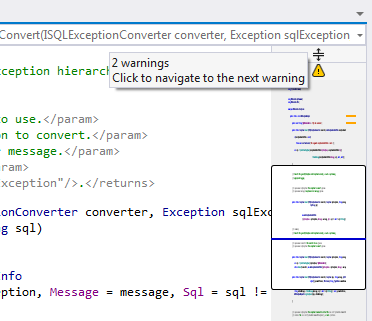 ReSharper 8.1 completes the picture with support for double completion in XAML and assorted typing assistance actions. 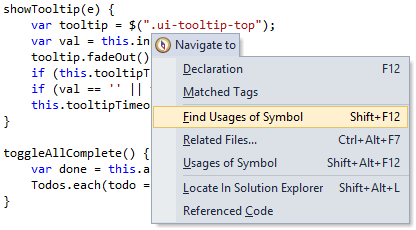 ReSharper 8 makes more of its IntelliSense magic available in automatic completion lists, including extension methods and an option to import a type. We're also introducing double completion which gives you additional completion items when you press the corresponding shortcut for the second time. We've even made code generation actions accessible via code completion. 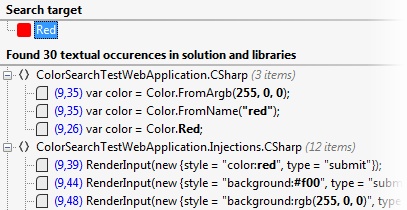 Smarter usage search for CSS attributes, new CSS-specific code inspections, configurable support for CSS3 and earlier versions, compatibility checks against popular browsers is a rough outline of what's new for CSS in ReSharper 8. The new NuGet-based Extension Manager makes discovery, installation and uninstallation of ReSharper extensions extremely easy in Visual Studio 2010 and higher. When we say extensions, we mean not only full-fledged plugins but also sets of templates or SSR patterns that can now be shared much easier.